Picture Particles and Kosmos will be screened at Peripheral Visions in New York [USA] this month. I’m feverishly working on my first feature film. Working title is: Zyntrax – Symphony of Flesh. The title will change but here’s the imdb page with some stills. The film is a surrealistic trip with lots of noise, texture and general sensory overload. I’ve been working on it for almost four years now and I’m excited that it’ll finally be finished this year. Energie! will be screened at Clermont-Ferrand Short Film Festival. 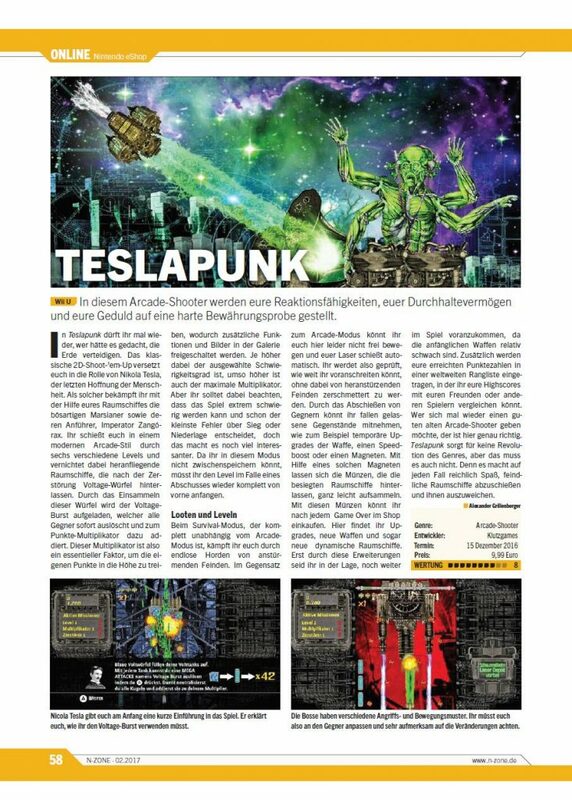 Finally our shoot-em-up game Teslapunk had its Wii-U release in Europe and North-America. 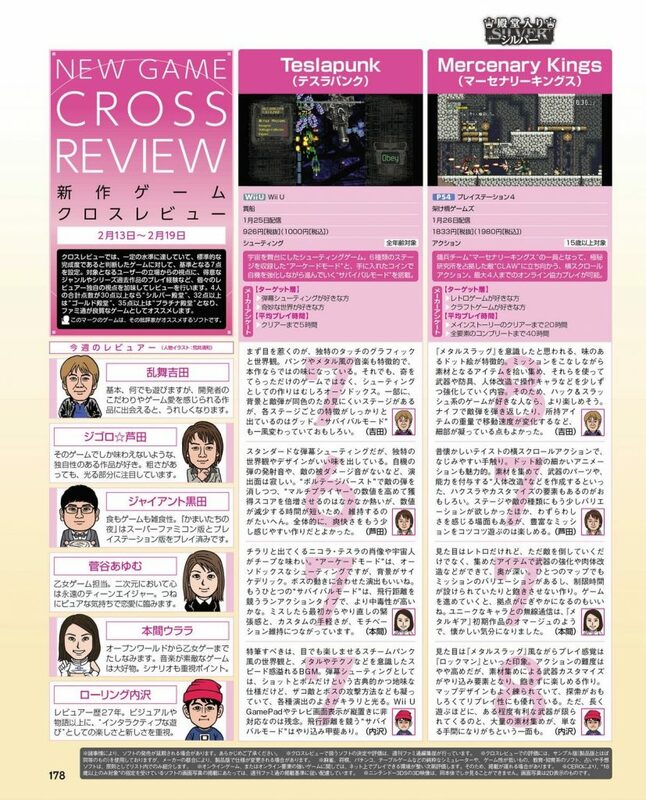 It will be released in Japan on the 25th of January. If you own a Wii-U check it out in the Nintendo e-shop. Picture Particles will be screened at Cortosplash [Italy] this month. K.I.L.L. will be screened in a program curated by Steve Bisson at Experimental Video Architecture in Venice in June. Dromosphere will be screened at the Digital Canvas Online Exhibition in a program curated by Digicult. Check out this interview with Filmslie.com here. Picture Particles will be screened at Kiné – Muestra de Cortometrajes Puebla [Mexico] in April. Picture Particles will be screened at Festival di Cinema e Poesia – Versi di Luce [Italy] in March.